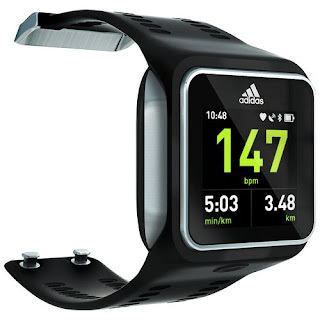 Fitness watches come if various varieties. Fitbit has become very popular, but that brand is not the only choice. If you are in the market for a fitness device for your wrist, you may want to also learn about the devices below. Obviously, fitness apparel is the best way to look great, but fitness accessories such as watches and trackers are also helpful. Slip it on and step it up. The miCoach SMART RUN watch delivers an advanced, intuitive blend of coaching and performance data designed to help serious runners maximize training every time you lace up your shoes. Clean and simple, it delivers a strapless continuous heart rate, GPS, Bluetooth 4.0, wireless music player, WLAN and a color touch screen. Learn more about the miCoach Smart Run Watch. Meet your new fitness companion. 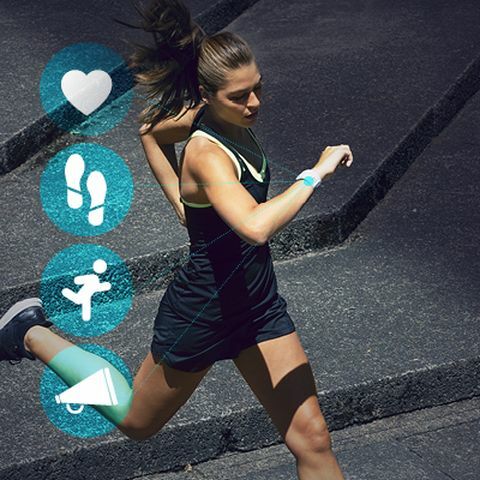 With the miCoach® Fit Smart watch, you’ll never miss a beat, or a step. You can track your activity all day, and when you’re ready to work up a sweat, fire up the built-in heart-rate monitor to get in the zone. Fit Smart technology continuously measures the heart rate from the wrist, with no chest strap required. The watch provides simple-to-understand visual guidance for workout intensity and calorie burn to keep you on track, motivated and training more effectively. Features a built-in accelerometer to track speed, pace, distance and stride rate for walking, jogging and running. Sync your data using Bluetooth® Smart on your smartphone. The adidas miCoach® Train and Run app lets you see your progress and enjoy access to hundreds of training plans created by the elite coaches at EXOS. 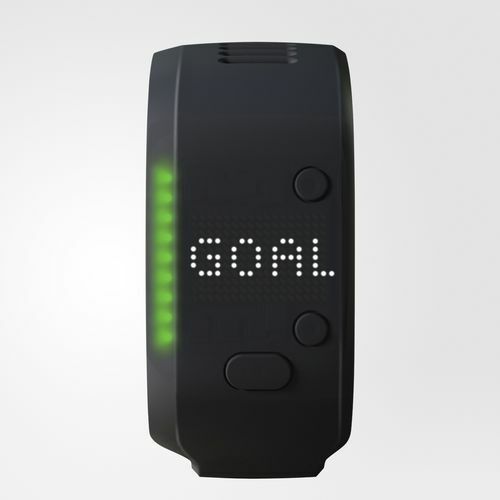 Soft-touch silicone strap; Dimensions: 1.5" x .5" x 8"
Note: In order to activate, use and update this product, a PC or Mac, an Internet connection via WiFi and a miCoach user account are required. In addition, the acceptance of the Legal & Privacy Terms and Warranty Information is required. 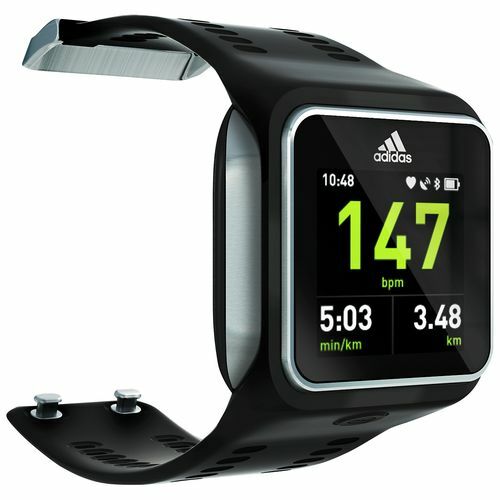 Learn more about adidas miCoach accessories. Fitbit Blaze A fitness watch that’s as stylish as it is smart. Fitbit Charge HR - The power of heart rate on your wrist. Garmin Vivosmart HR - Walk. Run. Bike. Swim. Golf. Climb. Skip. Jump. Go. Meet the wearables that help you move a little more each day. Learn about the new vívofit® 3 Activity Tracker with Automatic Activity Detection. Whether you’re walking around the office or going for a jog, vívofit 3 can automatically detect your activity using Garmin Move IQ™ and display it on Garmin Connect™. Wear it comfortably 24/7 to monitor sleep and count steps. Even get reminded to move after an hour of inactivity, with the red move bar. It’s water resistant, has a 1-year battery life and can be dressed up with the interchangeable Style Collection bands, to suit every moment of your active lifestyle. If you want at a lower cost, maybe look at the Garmin Vivofit 2. Jawbone UP2 - A dashboard of your activities isn't enough. That's why we created Smart Coach. Our exclusive intelligence engine that turns raw data into your personal fitness advisor. No pain. All gain. They also have a Jawbone UP3 and Jawbone UP4. Misfit Shine 2 - Thinner, stronger, and smarter, Misfit Shine 2 is our most advanced wearable. Shine 2 seamlessly tracks activity and sleep and delivers sophisticated information effortlessly and vibrantly with multicolor LEDs and a vibration motor. See your progress in a halo of rainbow-colored lights, or let Misfit Move encourage you to get active with a vibrational nudge and unique light animation. Get text and call notifications on your Shine 2 or connect Shine 2 with Misfit Link to control your world—play music, take a selfie, or interact with variety of internet services and smart home devices. Under Armour Band - Your UA Band measures sleep, resting heart rate, steps, and even workout intensity when worn with UA Heart Rate. Wear it all the time. Water-resistant fitness tracker so you can wear it all the time. Microsoft Band 2 - For people who want to live healthier and achieve more there is Microsoft Band. Reach your health and fitness goals by tracking your heart rate, exercise, calorie burn, and sleep quality, and be productive with email, text, and calendar alerts on your wrist. Moov Now (also for swimming) - MOOV NOW™ is ready to work out whenever you are. Advanced fitness wearable for boxing, running, cycling, and swimming. Garmin Vivoactive - Ultra-thin GPS smartwatch with a sunlight-readable, high-resolution color touchscreen. Samsung Gear Fit - The Gear Fit was designed to wear not only while you’re working out, but for whatever situation you’re in, day or night. Its curved display contours comfortably to your wrist, while interchangeable bands provide you with multiple color options. Apple Watch - Instantly receive and respond to your favorite notifications. Get the motivation you need to stay active and healthy. Express your personal style in a whole new way. From the way it works to the way it looks, Apple Watch isn’t just something you wear. It’s an essential part of who you are. Polar A360 - This waterproof fitness tracker is the first to have both a wrist-based heart rate monitor and Polar personalized training guidance, as well 24/7 activity tracking. It even has smartwatch features like smart notifications and a color touchscreen. 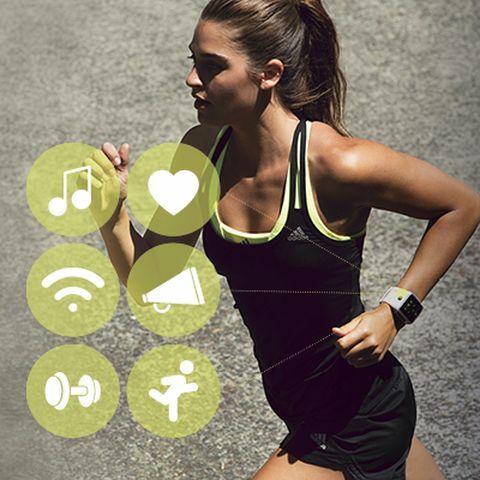 Learn more about fitness trackers & smart watches here on Apparel Search. You may want to read the best fitness trackers 2016 article and the best smart watch roundup from wearable.com as well. Also, be sure to read the CNET Best Fitness Tracker review. PC Magazine also has a best fitness tracker article to research. Honestly, there are almost too many choices. It is hard to pick a favorite. Do you have a favorite fitness watch? Share your reviews, comments, and suggestions in the discussion area below. By the way, what is the difference between a fitness watch and a fitness tracker? I guess one tells time and one does not. Spring is in the air (finally! ), which means Mother’s Day and Graduation season are fast-approaching. It's time to think about gift ideas. CHARRIOL is launching their first-ever “Watch Me Graduate” program – a partnership with Graduate Women International, the nonprofit organization whose goal is to empower women and girls through lifelong education. As part of the partnership, a percentage of all proceeds from the sale of CHARRIOL’s St. Tropez 35 Collection will be donated to the charity. What better way to celebrate one of the most pivotal times in a young woman’s life than with a watch to represent the transition from college to the world before her. 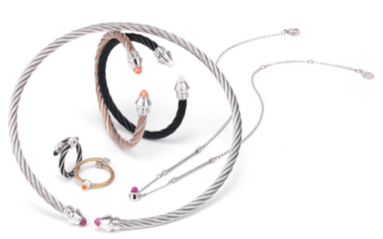 Mother’s Day and CHARRIOL’s new ‘FABULOUS’ collection is hitting stores to make any mom feel just that …. FABULOUS! Choose from earrings, bangles, pretty pendant or collier necklace accented with rubies, rainbow moonstone and citrine, as well as cable designs in steel, yellow gold or orange PVD. Coralie Charriol-Paul, NY-based Creative Director for CHARRIOL. Sleeveless long dress with a leather belt at low waist. Leather piping on the neckline and armholes. Did you see the Spectra Jacket in Carbon color? That was another spectacular design from Nicholas K.
We are excited to let you know that on the heels of UBM’s recent acquisition of Business Journals, Inc., MAGIC, fashion’s largest global tradeshow, has announced the launch of IFF MAGIC Japan coming April 2017. IFF MAGIC Japan will serve as a high-profile showcase for Japanese fashion brands and designers to promote themselves to Japan and the global market; and also an opportunity for international brands and suppliers to access the lucrative Japanese market. UBM plc, a leading global business-to-business event organizer and marketing services organization, and producer of MAGIC, fashion’s largest global trade show, recently announced the launch of IFF MAGIC Japan, a new joint venture between MAGIC and JFW-International Fashion Fair, Japan’s longest running, bi-annual fashion business tradeshow organized by renowned publisher Senken Shimbun. The two fashion powerhouses will join forces to launch the first IFF MAGIC Japan event next April 26-28, 2017 at the Tokyo Big Sight exhibition center. MAGIC will bring its 80+ years of fashion tradeshow experience to guide JFW-International Fashion Fair in cultivating the overall look-and-feel of the new show. IFF MAGIC Japan 2017 will be held as the cornerstone of Japan Fashion Week in Tokyo and will feature a re-imagined and re-merchandised show floor with new brands laid out in easily to navigate fashion neighborhoods that will maximize the experience for both retailers and exhibitors. IFF MAGIC Japan will also launch with a freshly developed social media presence, innovative marketing strategies and show floor activations, taking note from its U.S. counterpart’s longstanding success. Japan is the third largest fashion market in the world after the USA and the EU. Japan’s fashion trends influence the fashion markets not only of Asia but all around the world and until now, Japan has not hosted a truly international trade fair for the fashion industries. With the launch of IFF MAGIC Japan, UBM aims to further educate, inspire and facilitate commerce for retail buyers and attendees – while providing a unique experience to the Asia market. IFF MAGIC Japan will serve as a high-profile showcase for Japanese fashion brands and designers to promote themselves to Japan and the global market, and also as an opportunity for international brands and suppliers to access the lucrative Japanese market. 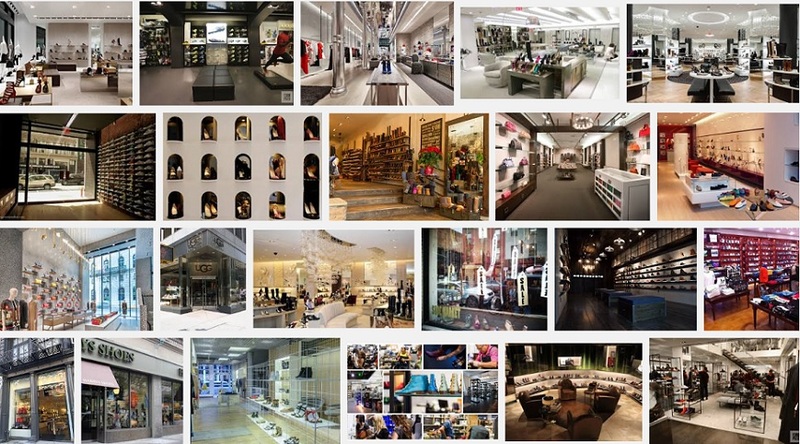 Thank you for taking the time to read our fashion industry event blog post. Learn more about the MAGIC Trade show and the Japanese Fashion Industry. You may also want to visit the Japanese fashion designer page. If you are interested, you can also learn about other fashion trade shows in Japan in our trade show directory section. Dress shirt fabrics come in various constructions such as oxford, herringbone, twill, poplin, end-on-end, pinpoint, basket weave, ginham, etc. Most of which are woven fabrics. 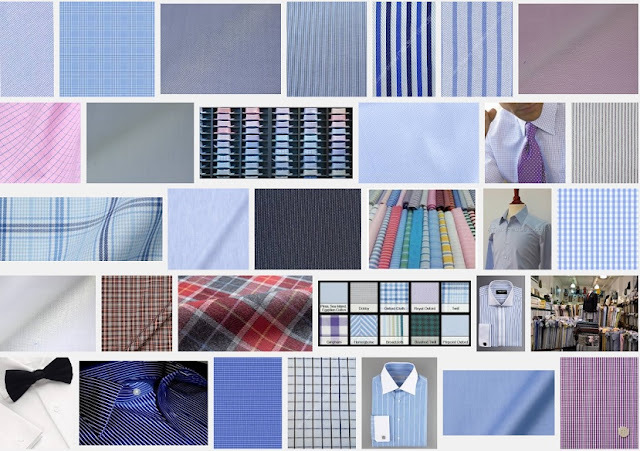 Shirt fabrics are also referenced as "shirtings". Cotton is by far the most common fabric for dress shirts, and most fabric names refer to a particular method of weaving the shirting fabric. The numbers sometimes listed with fabrics denote the thickness of the yarn from which the fabric is made; higher numbers mean thinner yarn. The finer yarn results in a finer clothing and typically higher prices. Yarn is the generic term for a thin, long, continuous strand of textile fiber before it is woven into cloth. A yarn number tells you the diameter of the yarn used in the fabric. Fabric has a lower yarn number because the yarn used to make the shirt is wider. Thinner fabric has a higher number. Typically 80-100 signifies high quality. Thread count is often referred to with a number like 50s, 80s, 100s, 120s, 140s 160s, etc. up to 200s. Ply is a term used to describe the number of yarns that are spun together in the shirt fabric. Two ply means that two different yarns are twisted together before the shirting fabric is woven. Fabrics can either be two-ply or single ply. You might see a fabric’s construction described as something like “100/2×100/2″. The way to read this is that it has 100s two-ply threads running in both the warp and weft directions. Warp threads run vertically. Weft yarns run horizontally. Broadcloth—very similar to poplin–is a tightly woven fabric with a very simple over-under weave and slight sheen, which makes it very dressy. Broadcloths are great for guys looking for as little texture as possible in their fabrics. They are generally a thinner, lighter fabric. Oxford vs. Pinpoint - The difference between the fabrics is not in the weave, but in the thickness and weight of the yarns that are used. Pinpoint generally has a higher thread count, and a lighter, finer weave then Oxford Cloth. Thus, pinpoint dress shirts are preferable over oxford cloth dress shirts in formal situations. The construction of the cloth and yarn count is only part of the shirt fabric puzzle. The fabric also must complete a proper finishing process to be prepared for being cut and sewn into dress shirts. There are a variety of processes that must occur before the cloth is considered “finished.” These processes are referred to as the “finishing.” This process can include dying, sizing, pre-shrinking, and sanforization (Sanforization is a process of treatment used for cotton fabrics mainly and most textiles made from natural or chemical fibres, patented by Sanford Lockwood Cluett) to name just a few common ones. Some finishing techniques such as bleaching and dyeing are applied to yarn before it is woven while others are applied to the grey cloth directly after it is woven or knitted. Each of these processes has a direct effect not only on the appearance of the cloth, but also on how it later performs. If you are a fashion designer looking for factories to manufacturer your dress shirts in the shirting fabric construction of your choice, you can check the dress shirt factory section of our clothing factory area. You may want to also learn about suit fabrics if you would like to do a bit more reading. Learn more about fabrics from our fabric mill section. Do you know the difference between a made-to-measure shirt and a bespoke shirt? Read our blog post about how to pick a proper dress shirt. Eco PRK has been washing and developing new ways to improve technology in the fashion industry for private labels and two lines of their own Tortoise Jeans and Natural Cast. They want to expose the back end of the denim washing process, the problem and offer a solution that denim can be washed without the use of any chemicals and with little to no water at all. They are continually finding and innovating new ways to an old process of washing denim. The company was established in 2013, by co-founders Kevin Young, Daniel Park and Myung Koh. Eco PRK, People Reshaping know how, started with a dream of creating a place where laundry water runs clear and no chemicals pollute the environment. This place was never heard of and many people did not believe that this could be true. It was generally accepted that denim cannot be washed without water or chemicals. So this company set out on a journey to prove to the world that anything is possible. They planted a little seed, nurtured it and saw how it has grown into what is now Eco PRK. Kevin Young made living out of college in one of the best denim factories in the US where he had grown fond of indigo. As his mentor, Adiano Goldschmied nurtured his love for denim and this passion lead him to dig deeper into the process of jeans manufacturing. This enabled him to realize how the production of this standard jeans involves plenty of harmful chemical and tons of energy and water waste. They came up with an innovative organic waste patent pending (#13746144) method with the goal of providing the possibility of creating beautiful, ethical organic and transparent denim without depleting the planet of its natural resources. They use 80% less water, they use 70% less energy and they say that they use no harmful chemicals. By going green on your blue jeans, you help preserve the planet for the next generation. This all sounds like very good news for denim jean factories. Hopefully they will be buying denim fabrics from mills that are working toward saving the environment. You may want to also learn about stone washing jeans. Also, if you have some spare time, I would suggest reading the denim dictionary blog post which will lead you to a nice denim glossary so that you can continue your research on this subject. Can you afford custom made clothing? I can't, but I wish that I could. Although I can't afford them, I know the importance of understanding different categories of clothing. So, let's take a few moment to learn the difference between the term "made-to-measure" and "bespoke". They are often referred to as being the same thing, but technically they are NOT the same. Well, actually that depends on who you ask. The British Advertising Standards Authority has made a ruling regarding the difference or lack of difference between the word bespoke and made-to-measure. The ruling established that a "made-to-measure suit would be cut, usually by machine, from an existing pattern, and adjusted according to the customer's measurements," while "a bespoke suit would be fully hand-made and the pattern cut from scratch, with an intermediary baste stage which involved a first fitting so that adjustments could be made to a half-made suit." The ruling concluded, however, that a "majority of people... would not expect that bespoke suit to be fully hand-made with the pattern cut from scratch," effectively equalizing the terms bespoke and made-to-measure. Some people may say that the ASA had made a rather silly decision to declare that there is no difference between bespoke and made-to-measure. In the opinion of Apparel Search, their is a difference between the two terms. Bespoke is 100% custom made for a specific individual. Made-to-measure uses existing standard patterns and then tailoring is done to make the garment fit better to an specific individual. You may also want to learn about suiting fabrics if you are planing to buy either a made-to-measure suit or a bespoke suit. It would actually be a good idea to learn about suit fabrics even if you are planning to buy ready to wear suits off the rack.